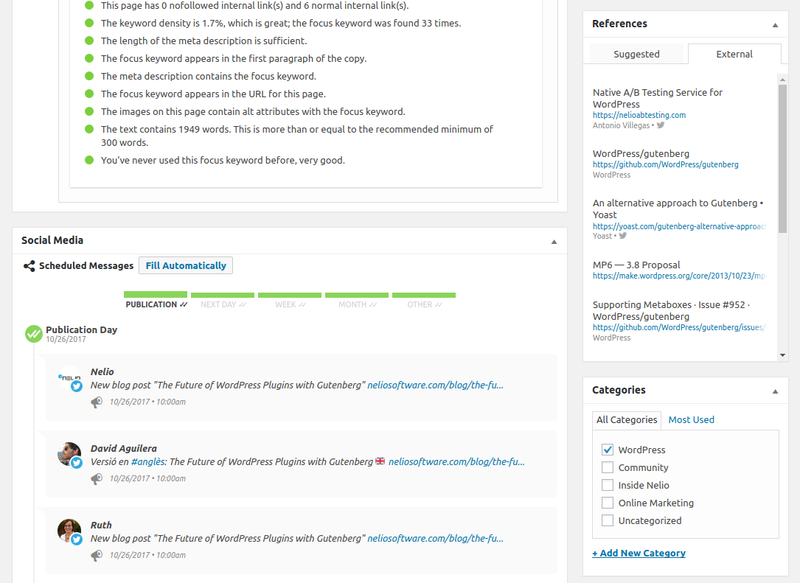 Here’s our review of all the latest WordPress related topics. 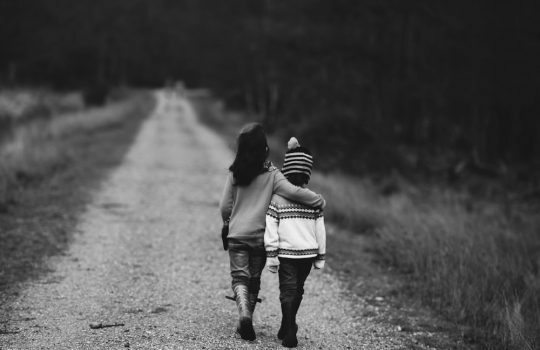 Today I’d like to get away from the usual blog posts I write (which, as you know, are very focused on WordPress) and share something a little more personal. Specifically, I want to tell you about my experience living in the US for three months and what my absence meant for the Nelio team and me. Adventure Time in the US! 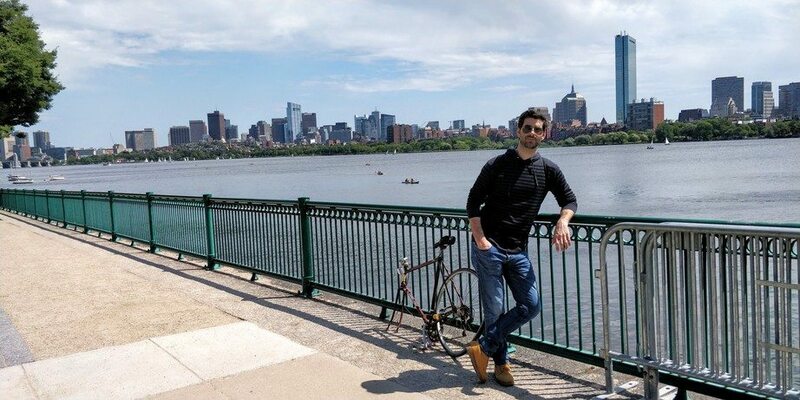 In the middle of this summer my wife told me that, as part of her MBA, she was considering an exchange program with an American business school, the Babson College. I thought it was a great idea, since being able to complement your studies in another country is always very positive, and even more so if we take into account that the opportunity she was given was awesome: it’s one of the best schools in one of the best states (in terms of education) in the United States: Massachusetts. Flying from Barcelona to Boston. I had never visited the country before, and I had always wanted to live abroad, so the idea of living in the US for a while sounded great. And that’s exactly what we did: from August 20, 2018, to November 17, 2018, I became a citizen of Boston. I lived many fun adventures during my stay in “the land of the free and the home of the brave.” But the one I remember most fondly was my arrival on American soil. As soon as you get off the plane, you have to pass the border and customs security check. Usually, the interaction with the officers there is pretty straightforward: they look at your passport, ask you what you’ll be doing in the States and how long you’ll be there for, and… that’s it! You’re good to go. So when it was my turn that’s what I did: I told them I was going for “leisure” and that I intended to stay three months and return to Spain. “No, I’m with my girlfriend,” I replied. So I had to wait for another officer to come and take me somewhere else. They were very polite, but I couldn’t help but think they didn’t trust me at all… Image by Southpark on Giphy. What? 😥 Why? Almost everyone gets through this security check smoothly, and I just didn’t! And that was it. Welcome to the USA! Look how cool Boston is! During my stay in the United States, I took the opportunity to travel as much as I could: Boston, New York, Chicago, Washington, and Las Vegas were the cities I got to know. More or less, one city every three weeks 😊 Obviously, I would have liked to see many more, but I had to slow down because, let’s be honest, flying and looking for a place to sleep is anything but cheap. 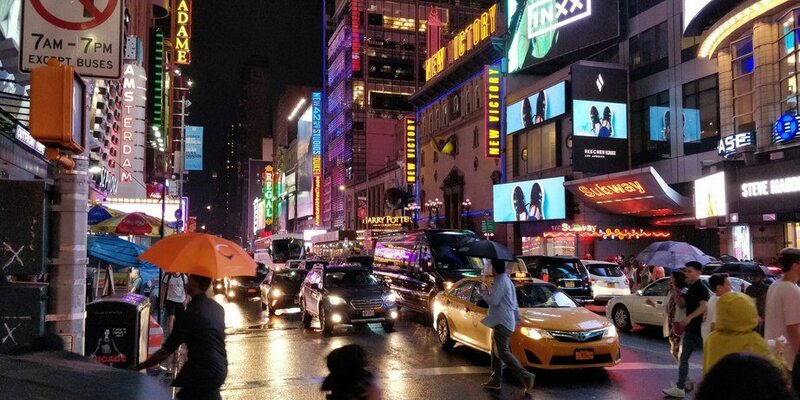 New York is a beautiful and colorful city, isn’t it? Being in the US for three full months gave me the opportunity to not only visit cities but also meet a lot of people and live a different culture. 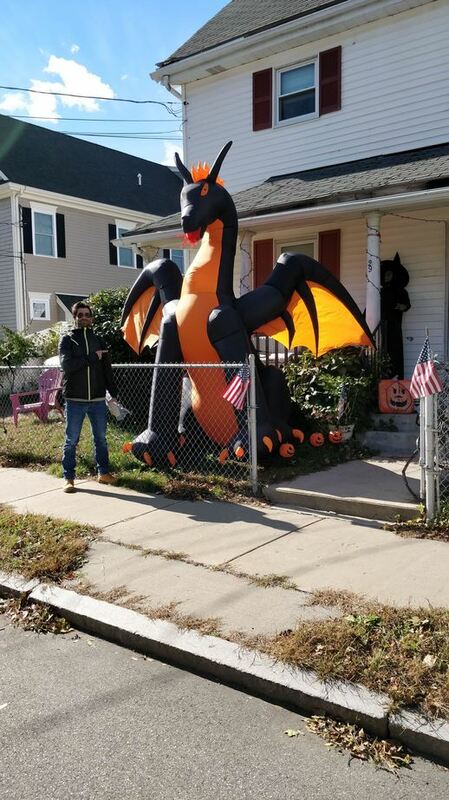 One of the things I liked the most about my time there was Halloween. It felt like being in a movie! One day I went out for a walk and… Halloween was already there! 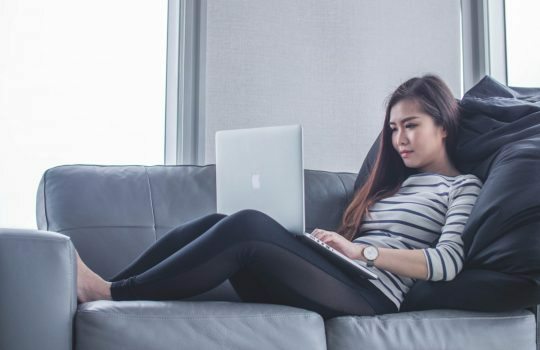 The first thing you should keep in mind when considering whether or not you can work remotely is the type of work you have. If you have a job where you need direct contact with clients, then maybe you can work from home but not go to another city or country. But if you’re a computer scientists like I am, you can probably work remotely and have no trouble. After all, all we need is a computer and an Internet connection, right? When you’re going to work abroad, you need to make sure you have the tools you need with you. Don’t fool yourself into thinking that digital nomads can work anywhere around the world, looking at spectacular landscapes and living unforgettable experiences… What if you end up in a place where there’s no Internet connection? That was my desktop for three months. Not the best, but useful enough. When we were looking for a place to live in the United States, I knew it had to be a flat or a house where I had a desk in my own room. I needed a quiet space, away from the other members of the family. And a good Internet connection, of course! In the photo above you can see what my “office” was for three months: I had neither the best chair, nor the best table, nor the best light… but, hey, I had everything I needed! 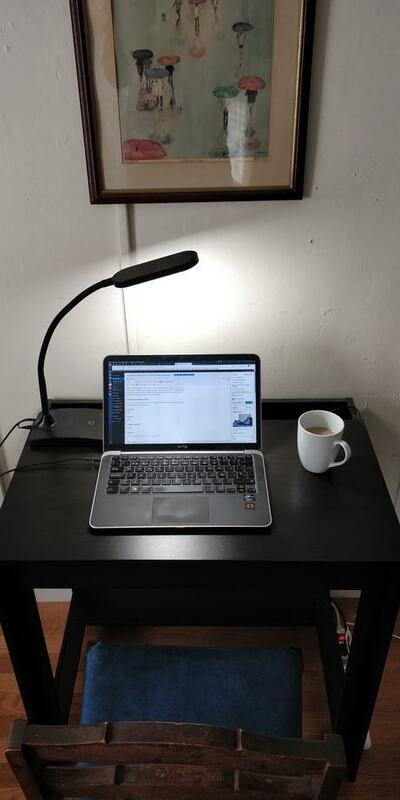 A significant part of working remotely is your compatibility with the rest of the team. Even if you can work most of the time autonomously, you’ll have to schedule a meeting or a Skype talk from time to time. And since you’re the one that’s abroad, you’re the one who’ll have to adjust his schedule to the others’. Luckily for me, the time difference between Barcelona and Boston was only 6 hours, so my working hours in the morning were Antonio and Ruth’s afternoons. Thanks to this, the deferred work worked perfectly: we could chat with each other daily. I have to admit that my staying in the United States was even more positive than it first seemed! 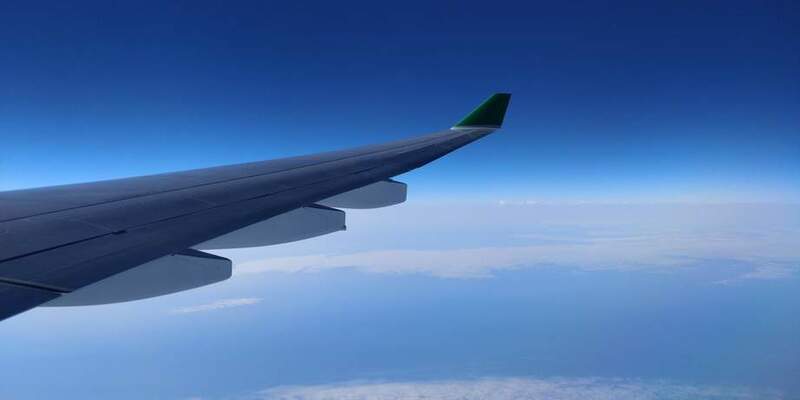 As we have already mentioned in the blog, most of our customers are American, so suddenly, for three months, Nelio‘s support schedule coincided perfectly with that of our customers. Thanks to this time difference, we were able to cover more support hours: from 8 am in Spain to 6 pm in Boston (that is, 12 pm in Spain). Cool! 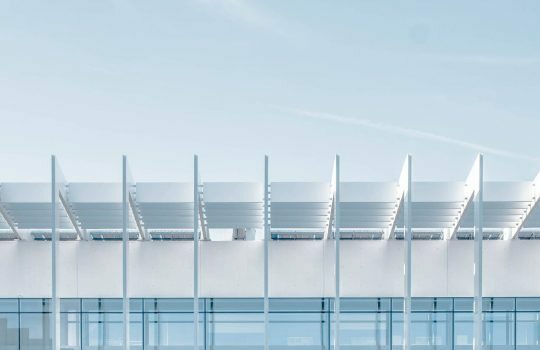 What About WordCamp Barcelona 2018? The only thing that made me especially angry about my American adventure was that it coincided with WordCamp Barcelona 2018. As you know, the three partners of Nelio were participating as organizers of the event. In my particular case, I took care of the website, promoting the blog on social media, and designing and ordering the swag. 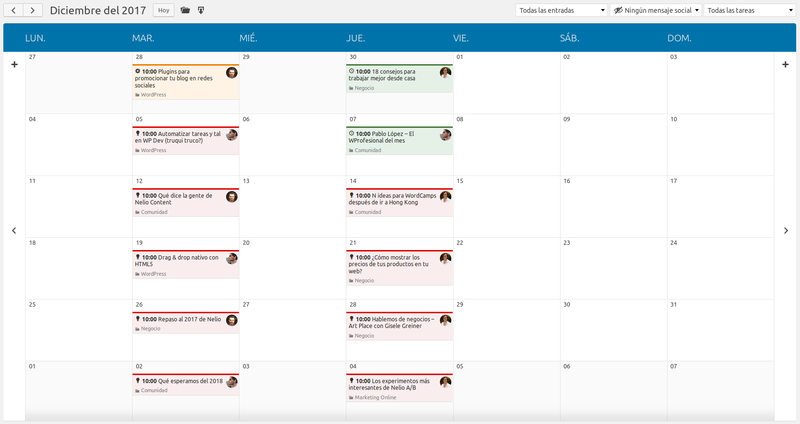 A couple of weeks before WordCamp Barcelona arrived the workload just skyrocketed. There were a lot of tiny details to fix and polish, and we were all slightly overwhelmed: boost ticket sales, organize sponsor packages, manage the swag… but I was abroad! What did I do? Adapt my schedule to theirs, of course! For a couple of days, my day started at 3 or 4 in the morning, just to make sure I was available during the working hours of our provider. It wasn’t ideal, but that’s what it takes! And this was my experience living and working in the United States for three months. I hope you enjoyed my adventures and you learned something from my experience. If you’re wondering whether it’s a good idea to live such an experience: it is. If you’re ever given the opportunity, and you can afford it, go for it. You’ll have to adjust your schedule and routines with your partners’, but it’s worth it. If you have doubts or are interested in knowing anything, don’t hesitate to ask me; I’ll be happy to help you! Featured Image by Mimi Thian via Unsplash. It’s time to confess—I lied. I don’t have 5 amazing tips to make you rich 🤷. I don’t know if they exist either, but if they do, I doubt marketing experts would keep them secret instead of charging for sharing them, right? 😇 So why does this post have the title it has? 🤔 Well, it’s a clickbait, of course. Writing is not easy—you’ll have to invest a lot of time. 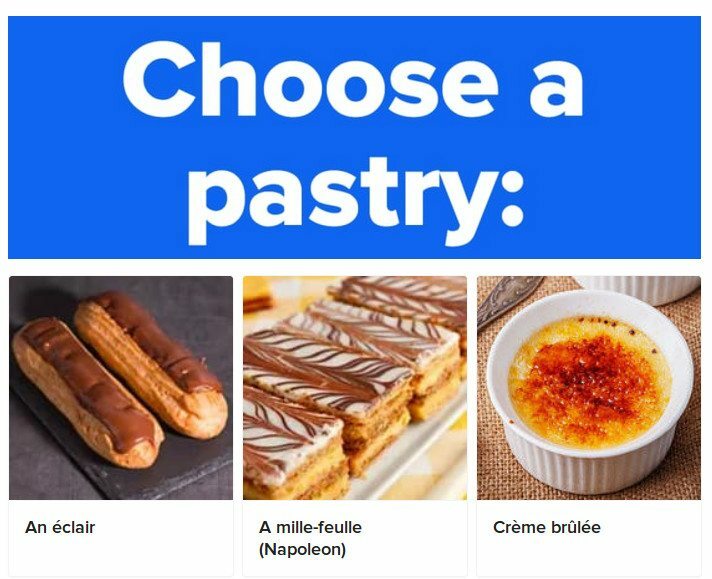 Source: Giphy. As we can read in Forbes, the titles that are considered clickbait are those that promise more than what they actually offer with the intention of getting lots of clicks. For example, if you see a tweet sharing a post with the title “The 5 Most Surprising Tricks for Blogging” and when you get to said post, the tricks aren’t there or are just plain stupid… well, I guess you’d be a little disappointed, right? (I hope you noticed the irony in the post you’re reading right now 😉). These types of titles can be good for attracting traffic, but if you don’t meet expectations they are a disaster in terms of keeping that visitor on your website. 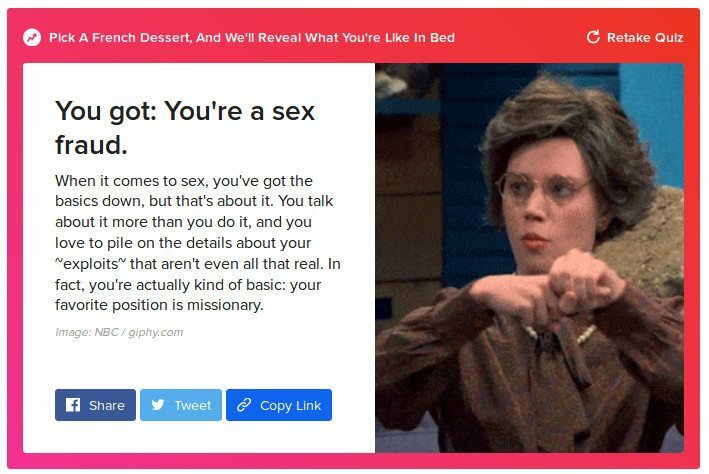 Examples of Clickbait Titles from Buzzfeed. Example of the content behind a clickbait title. Click, click, click! Keep clicking, goddammit! Formulas that appeal to feelings work better than others. “Tears of happiness”, “goose bumps”, “a cutie”, or “‘you can’t stop laughing” are some of the examples we find in this category. Any combination that arouses our curiosity and voyeurism is also a good way to get the desired click. “What happened next”, “Twitter reacts to”, or “What everyone says about” are strategies that tell you just enough to trigger your curiosity. Appeal to feelings and you’ll probably succeed. Source: Giphy. Considering all this information, I think the line between a clickbait title and a title with the potential to become viral is very thin. In principle, using these formulas to get more visits doesn’t have to be wrong, as long as the article then meets expectations, right? As we have seen in today’s post, most clickbait formulas appeal to people’s most basic instincts: joy, sorrow, curiosity, morbidity… and that’s not necessarily bad. If we want to arouse the interest of our readers we have to use formulas that we know work. But it is also our responsibility as content creators to create quality articles that truly meet the needs of our readers. Featured Image by Sharon McCutcheon on Unsplash. The question every blogger and webmaster has is how to rank high enough to be at Google’s first result page. Or, even better, how to be the very first result. And it’s a very logical question: nowadays the web is so big that “being online” is not enough—people has to be able to find you or else you’re wasting your time. The essence of a search engine isn’t scary—it’s all about common sense! Source: Giphy. Search engines index the content on the web. The reason is simple: if we want to find results fast, we need the information to be properly indexed. And this simple fact has some big consequences: search engines won’t have the latest version of your site up-to-date at all times—it might take some time to reindex your site after you change something. People look for content. In the end, your website and the Internet in general is no more than a collection of millions of pages of information. As the owner of a website, your priority must be to make it possible for people to find your content, and this means it has to be useful, relevant, and great. The search engine aims to find the best content available. This is the key of everything: finding the best, most useful content that the user is looking for and needs. That’s what search engines exist for. As you can see, the job of a search engine is to convert a user’s query into a set of relevant and quality results. So, now that we know what we’re talking about and what we’re aiming, let’s try to answer the following question(s): how would you and I create a search engine? What criteria would we take into account to determine what should we show a user when they search something? How would we prioritize those results? As it turns out, it’s all about common sense. The first thing we have to do is find the most relevant results from the millions of pages we have indexed. The relevant results of any search are those that cover the topic the user is interested in. Duh! Don’t get me wrong—implementing this step is extremely complicated, and I don’t want to get into it… but just assume you and I can do that. For example, if I search on “WordPress“, pages containing the keyword “WordPress” are likely to be relevant. And perhaps also those who talk about CMS in general, hosting, blogging, and so on. Now this step is one of the things that many SEO and positioning strategies tried (and try) to exploit. That is, there’s people who reverse-engineer the criteria by which Google and other search engines consider a page relevant, exploit them to deceive the system and boost the page into the first result page. In the past, for example, webmasters filled their posts with tons of (not-always-that-relevant) keywords to make Google believe their website was very relevant to a certain search query… But I’m sure you’ll agree with me that this is a poor trick that benefits no one other than the cheater (and thank God it doesn’t work anymore). As search engines become more and more “intelligent”, these techniques are less effective, so don’t waste your time here. Well, let’s say we’ve already found the most relevant pages that talk about a particular topic. Doesn’t matter how we did it—we just have them. If we’re honest with each other, this means we probably have thousands or even millions of results to show… how do we sort them? Which ones have to go first and which ones last? The first criterion could be the quality of the copy. The better and more complete a result is, the higher priority it should have. And how do we measure “quality“? The length of the post could be a criterion (longer posts seem better). Another criterion could be the number of times it appears in other pages and websites—the more pages that link to a certain post, the more likely it is that this post is good (this is what Google PageRank does). We could also take into account the number of times content was shared on social media. We could even take into account the author’s experience on the subject: if they are an author whose posts speak about the subject we’re interested in and we know they’re experts in the area, what they say is probably more accurate, right? Think about it for a moment…. Given two equally “good” pages in terms of content and relevance, which should we show first? Well, you could take into account the speed at which the page loads (users don’t like to wait), if it’s mobile ready, its publication date (people tend to prefer more recent results), the accessibility level of the website, and so on. Now that you fully understand how a search engine works it’s time to exploit this knowledge. Apply the following 5 “easy” steps and you’ll get there sooner than later. Don’t waste your time with Google‘s internal behavior… Picture by afvpets via Giphy. 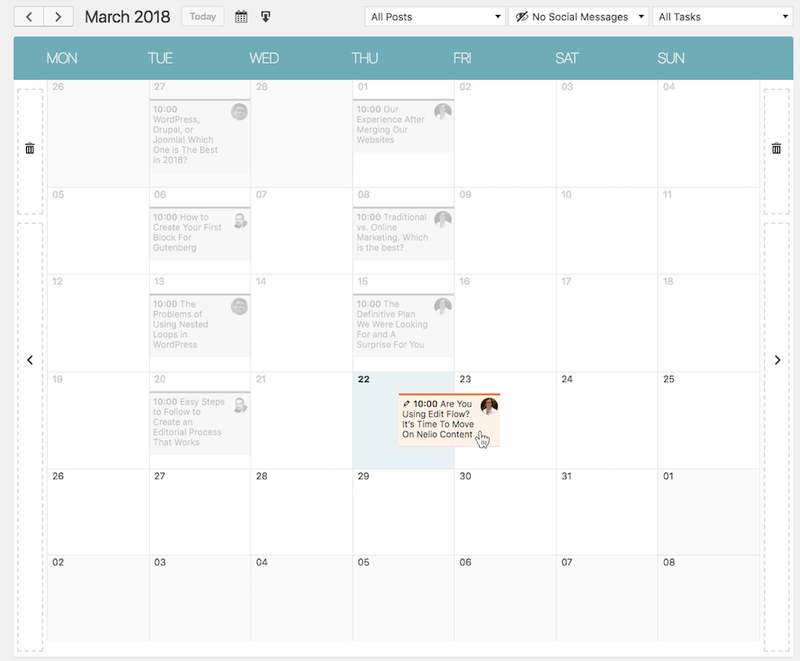 In this blog we’ve talked a lot about the importance of content and, in particular, how a good editorial calendar will help you get fresh, quality, consistent content on the blog. Practice makes perfect, so write assiduously and strive to improve. 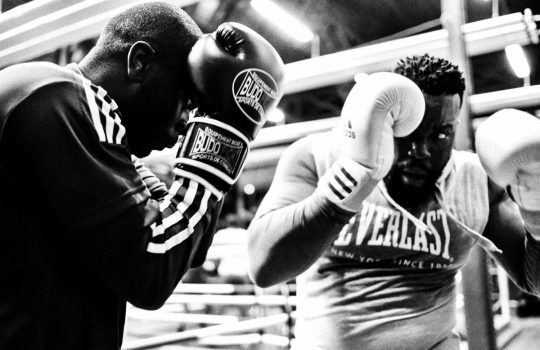 It’s like the gym: it’s not only about paying 20 bucks a month—you’ll have to work hard if you really want to get in shape. Quality content, long copies (as recommended by Neil Patel on his blog), linking to other authors and building a quality-link network… all these factors will affect your final ranking, so take your time to address them all. Don’t spend 3 minutes on your blog and hope for the best, because that’s not how things work. If you’re going to make a living with your website, you’ll have to put in some big time! On the other hand, don’t forget to clearly define the main theme of your blog. Remember that your goal is to become the expert in a particular area, so the contents of your website should revolve around it. Avoid being a learner of everything and master of nothing—we want our users and Google to know that we are the source they should be reading when a certain topic pops up. Install a plugin like Yoast SEO and fix the SEO of all the pages you write. Put a meta title and a meta description optimized for the search engine. Decide what the main keyword of your entry will be and make the content revolve around it (for example, in this post the word could be “first result”). Implement Latent Semantic Indexing. In other words, don’t get obsessed over the keyword you’ve chosen. As Neil Patel says in his blog, LSI is basically about using related concepts to help Google understand what we’re really talking about. For example, if we talk about Social Networks (and that’s our keyword), Google won’t be surprised if you use other keywords such as Twitter or Facebook at some point in your content. 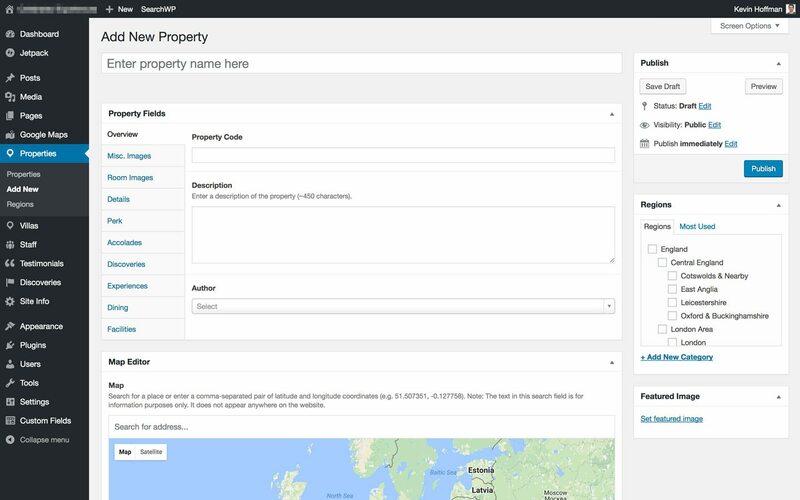 Install a plugin such as WordLift and create an ontology. If Google’s goal is to index information, let us help it determine what our content is about by marking the concepts that are covered in it. If you don’t know where to start, use PageSpeed Insights by Google to analyze how well your website is doing and discovering what needs improving. Everything I’ve told you so far is to enhance your organic positioning. In other words, to reach the top position simply because of the quality and relevance of your content. Unfortunately, there’s a catch with this approach: it takes a lot of time to craft good content and build the reputation you need for Google to rank you among the best. While waiting for your SEO strategy to take effect, you can consider complementing it with a Search Engine Marketing (SEM) strategy. With SEM you can rank your site higher using sponsored ads on search engines (with Google AdWords, for example) and thus generate quality traffic to your website. Finally, I couldn’t finish this post without dedicating a couple of lines to social media. If the goal of getting the first ones on Google is to attract more traffic and readers, we can’t forget the role that social networks play when it comes to doing the same thing. I do recommend you invest some timein promoting your content there. 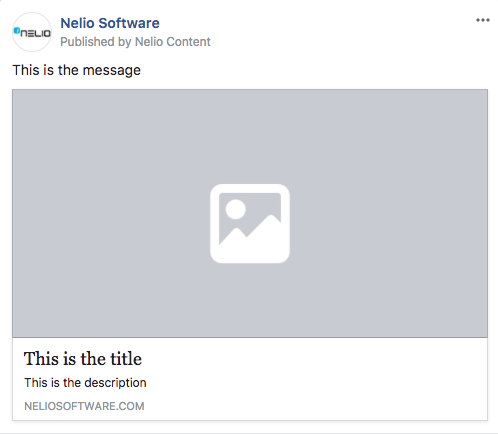 Using a tool such as Nelio Content you can easily share the contents of your website and reach a wider audience. Today we just scratched the surface of a very complicated topic. But I hope that my tips help you reach your goals. I know I’m asking you to work hard, but as the saying goes: no pain, no gain. Start your blog today, put into practice what we have explained here, and tell us how it worked. Featured Image by Sean Patrick Murphy on Unsplash. In the era of social media and immediacy, where millennials no longer write but send voice messages, is it still a good idea to start a blog? We believe it is. Having a blog in 2018 is something that can bring you many good things. We still are at the beginning of the year and you might be evaluating your goals for 2018. If you’re wondering whether a blog makes sense today and need to be convinced, in this post I’m going to show you 10 reasons why you should start a blog in 2018. Nowadays, setting up your blog is easier than ever. You don’t need to spend a penny to get started, because you can find several free options out there to create your blog. And yes, I thinking of WordPress.com, but you also have other options like Wix or Medium that you might want to consider. You don’t have to swim in money to start a blog. Today it’s even free! But if you want to have full control of your content, I recommend you to manage a blog in WordPress directly on your own server. You have several options in the hosting market for less than $4/mo. A ridiculous investment, considering all that the blog can do for you. The major investment you need is your time and effort. That’s right, writing on a blog takes time and dedication. But if you decided to start your blog as a personal project for this year, you’re more than ready for it, aren’t you? Writing regularly is the best exercise to improve your communication skills. Just like when you do sport after a long time without doing it, you’ll feel stiff at first. But believe me when I tell you this, practice makes perfection. Constant writing is a great way to improve your communication skills. 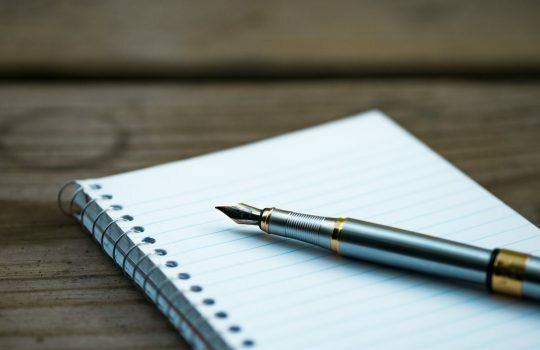 Furthermore, by writing regularly you will not only improve your communication skills, but you will also be more capable of organizing and structuring your ideas and thoughts. All this is part of the basic skills that many companies are looking for these days. Put it into practice by writing on your new blog and you’ll see your progress over time. For example, if you take a look at older posts in this blog, the quality of the writing was probably much worse than it is now. We’ve improved, and so can you. It’s proven that our daily routine is much more comfortable if we have hobbies that help us disconnect from time to time. 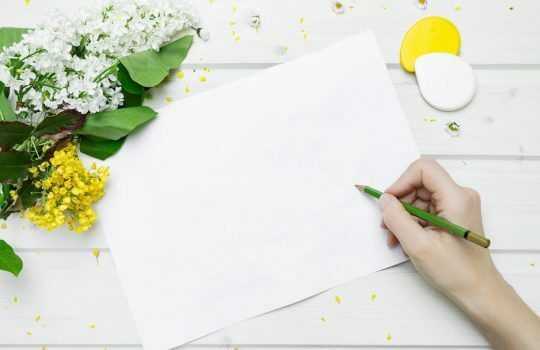 You might not be interested in creative activities like underwater rugby, stone skipping, or even bog snorkelling, but they’re cool topics to write about. So, why don’t you create a blog and talk about what you really like? Unleash your passion by writing articles about your hobbies. The most important thing here is to choose a topic that inspires and motivates you to keep writing over time. Managing a blog is a good way to disconnect from your work every now and then. Unless your job is to write on blogs, of course…. But even in that case I’m sure you’ll find a different topic to write about in your free time 😄. One thing leads to another, and writing on a blog will lead you to meet more people interested in the chosen topic. In our case, opening the blog about WordPress and web development has allowed us to meet other professionals in this field. We’ve even been able to interview a lot of them! Take advantage of your new blog to meet new people with your same interests. In addition to this, thanks to the blog we have actively participated in the WordPress community by attending events such as meetups and WordCamps. And there we’ve made new friends. So don’t underestimate the fact of opening a blog as a way to make new friends. It sounds like magic, but when you write in a blog there are people who read you and will even take you as a reference in your field (as long as what you say makes sense). Influencing others is much easier than you think. 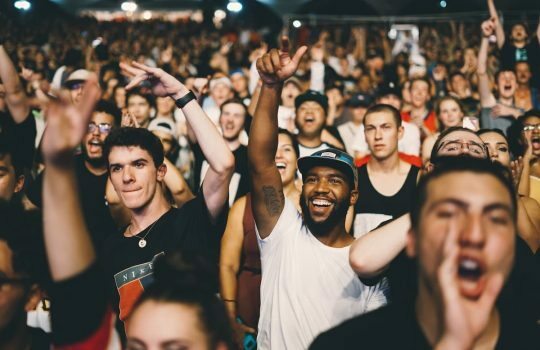 When you post on your blog, you reach an audience. Eventually, they’ll see you as the expert you are. Write on your blog, post to social networks, mention other experts in your field, and you’ll see how quickly you join the elite group. Having a blog is a great way to grow your personal brand or that of your company. Having a blog and writing about a specific topic implies being technologically up-to-date. You should be familiar with content management tools, such as WordPress, and have knowledge about marketing and social media. A blog will keep you updated. Knowledge is power! The blog is the perfect excuse to be more connected and expand your SEO knowledge through tests with your content. In short, with a blog you’ll surely learn something new every day. This proactive attitude in information and communication technologies is highly valued today and can help you grow personally and professionally. Don’t get depressed. Your content can have more lives than a cat. This doesn’t have to be like this. Today you can re-use your content and transform it into other valuable content. For example, you can take some of your articles and turn them into videos for your YouTube channel. Or set up an ebook that you can give away to your visitors in exchange for their email. Or create a presentation with some of your content that you can then send to an event (such as a WordCamp) where you end up attending as a speaker. There are a thousand options available. For instance, one that I liked very much is Morten Hendriksen‘s who decided to write a novel in 365 days writing every day on his blog in WordPress. A blog is a window to the world. Take advantage of it and try to change it. How is that? Very easy. You’ll get comments. Many. Most of them will be spam, but among them you will find some interesting pearls. Read them because some will ask you for help, or will show you different opinions than yours. By helping everyone who comes to your blog, you will improve your image and grow as a person. You must take advantage of this to try to help the one who needs it and to understand the different points of view that exist. All this will help you to improve as a person and to see things from other angles. There is a lot of talk nowadays about personal growth… well, having a blog can help you get a better version of yourself! Making money with a blog is neither easy nor should it be your sole objective. But it’s clear that if you see your blog gaining audience and you can monetize it, you’d be an idiot not to do it. It’s not going to fall money from the sky, but with effort you can make the most of your blog. There are many options to make money with your blog. From the typical ad-based ones, to much more elaborate ones, such as creating hidden content only available to those who pay a fee. Choose what you feel most comfortable with and be patient. 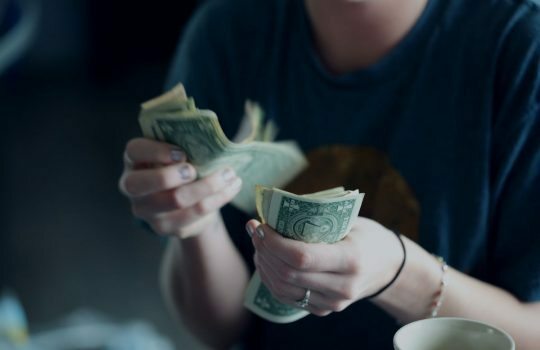 If you do it well, you’ll be able to get a small bonus to support your work and increase your motivation with the project. Nowadays a Twitter thread is much more viral than a blog. But while the average life of a tweet is just a few minutes, your blog posts remain easily accessible much longer. Blogs aren’t dead. Check it out for yourself! If blogging was bad, there wouldn’t be any blogs today. And that’s not the case. In 2018 blogs are not dead. They are more alive than ever and your audience will continue to appreciate you providing them with valuable content. People keep posting content frequently because others keep reading it. People like you and me. So, what are you waiting for? Featured Image by Neven Krcmarek from Unsplash. When you release a new plugin for WordPress, you have to be ready for the reactions it might generate among your users—criticism, joy, requests… Communication with your users may take place from several channels. The most common ones are social networks, email, and the WordPress plugin directory. And you’d better be aware of them all so that you can find out what’s going on and provide an answer as soon as possible. Being a small team, as in our case, it’s not always easy to be aware of everything, but believe me, we try. Tracking feedback from your users is essential to understand the problems they have with your plugin, what they like, and what they need. Turning this feedback into improvements in your products is the key to making your business grow. If you ignore what your users say about your plugin, you’re dead. 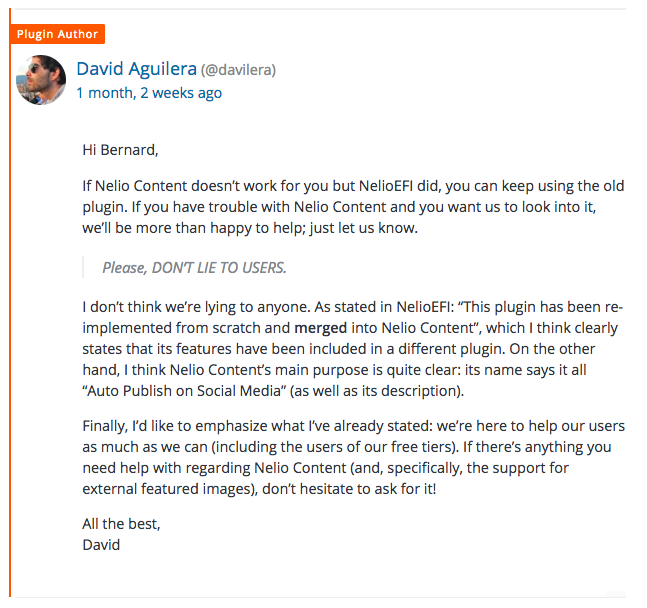 With our premium plug-ins, Nelio A/B Testing and Nelio Content, we have been lucky enough to get a lot of feedback. Sometimes positive feedback, and sometimes negative. And that’s normal, it’s not always easy to please everyone. A bad review of Nelio Content. You can see it here in the WordPress plugin directory. This user directly accuses us of lying. When you get something like that, it hurts—there’s no other way to put it. In addition to the 1-star rating, which ends up affecting the plugin‘s final rating (luckily, in our case we have enough 5-star reviews to compensate for the final score), the use of capital letters and the overall tone of the message isn’t very friendly. If you want to get help from a developer, being nice and friendly is probably a better approach, don’t you think? David’s reply to a negative review, trying to help with education and good manners. Remember, stay calm and don’t get carried away by your warm blood. Always respond with politeness and patience. No matter how harsh the criticism, be friendly. Otherwise, you’ll just fan the flames and, believe me, you don’t want to do this. The image you give as a developer is very important, both for your current users and for the possible ones that may come in the future. 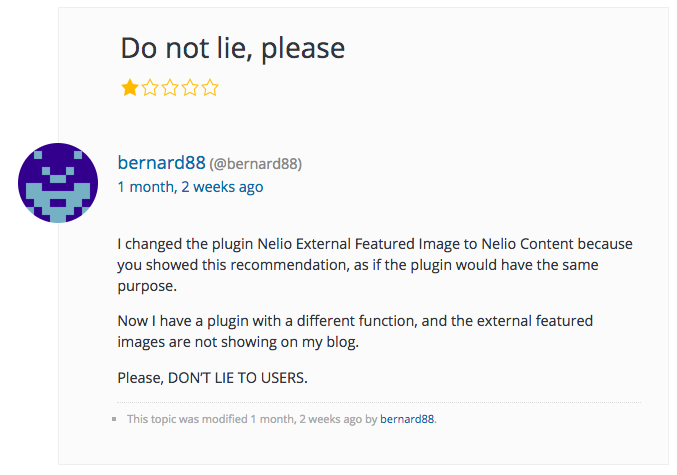 In this case we were delighted to see the time Jeannie spent writing an article to explain her first impressions of Nelio Content in detail just after installing the plugin. Step by step, Jeannie’s article explains what’s she likes, what she doesn’t like, the problems she faces, and so on. Having this kind of feedback is pure gold for a developer! I might cry. 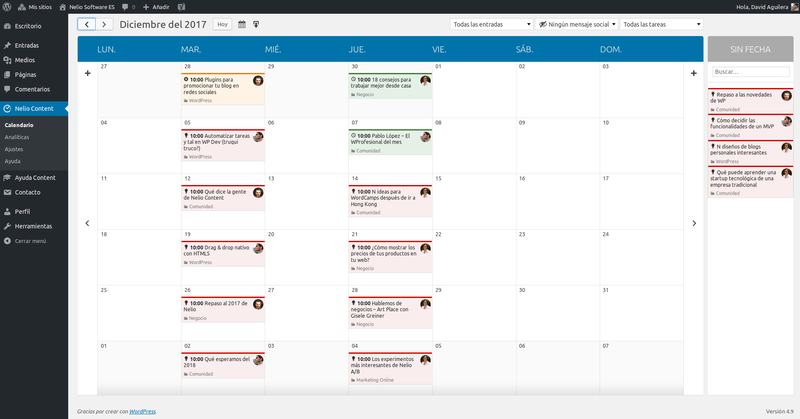 @NelioSoft added calendar export functionality to #NelioContent. Thank you for this amazing gift. Featured image by Nicholas Green via Unsplash. Gutenberg! The future editor of WordPress that will help us write posts, create beautiful layouts and finally get rid of the infamous page builders. Well, at least that’s what they’ve promised us, because even though it looks very nice, it’s still pretty green. I think Gutenberg is an improvement for casual users who like to write their content in the WordPress Editor. But as someone who writes and uploads multiple posts per day from Google Docs, I don’t see any benefit to Gutenberg based on how I work. All it does is make it a heckuva lot harder to bring in content from something like Google Docs. So, it brings a new paradigm for creating content (blocks), which might be an improvement for casual users. But such paradigm shift might not be what you need. 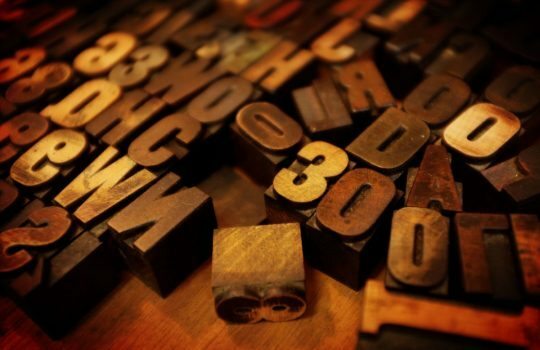 Only time will tell us if Gutenberg was the right decision or not—I personally think and hope it will, for it’s an interesting idea with a lot of potential (an opinion shared by some of the people we’ve recently interviewed in our blog, like Caspar or Alice). 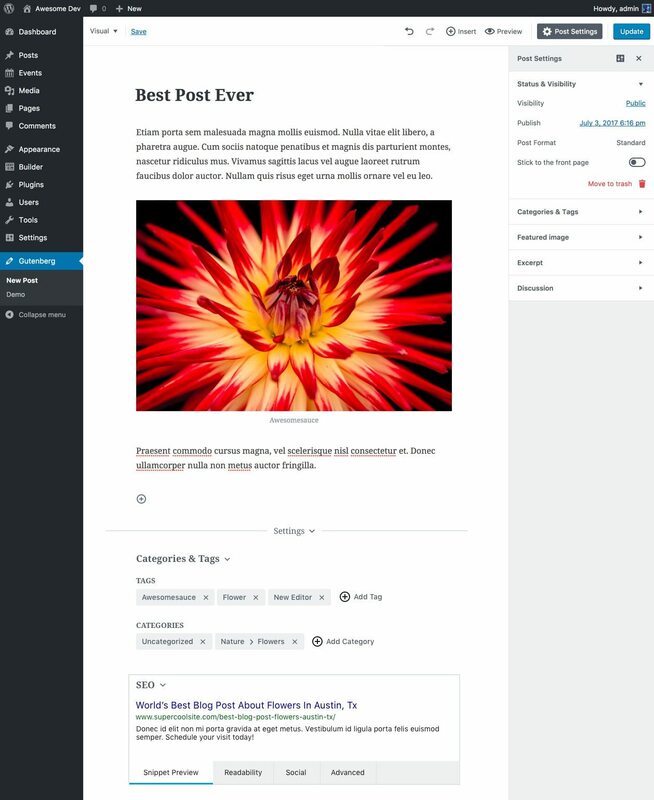 Screenshot of the current WordPress editor. 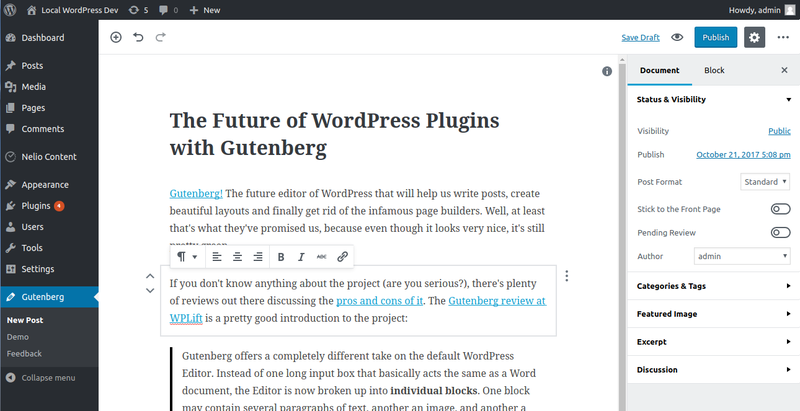 Screenshot of Gutenberg, where you can see several blocks and the contextual actions. As you can see, Gutenberg has a much cleaner and more minimalist interface than the classic editor. I personally love this design, because the simpler the user interfaces, the better—a prettier UX will help WordPress to attract new users and to re-engage the less active ones. But, as pointed out by Colin at WPLift, it radically changes how we create content, so I still don’t know if professional copywriters will welcome Gutenberg or would rather keep using the old editor. Screenshot with several WordPress meta boxes. In particular, there’s a fragment of Yoast’s SEO box, Nelio Content’s References and Social media boxes, and the Category meta box. How can we solve all this? For now, the Gutenberg team has prepared an area (Extended Settings) under the editor where, in theory, we can put our boxes. In fact, a couple of days ago the team announce that Gutenberg 1.5 includes “an initial pass at supporting existing meta-boxes without intervention”. This is clearly a great step forward, but it made me realize that Gutenberg is actually reinventing the wheel and going back to what we already had: an editor with extra meta boxes around it. Therefore, was it really necessary to rewrite all the post edit screen? Alternative Gutenberg UI proposed by Yoast. Basically, this proposal maintains the classic edit screen and simply replaces TinyMCE with Gutenberg. Nelio Content integrated in Gutenberg using Yoast’s proposal. Undoubtedly, a simple, elegant and functional solution. 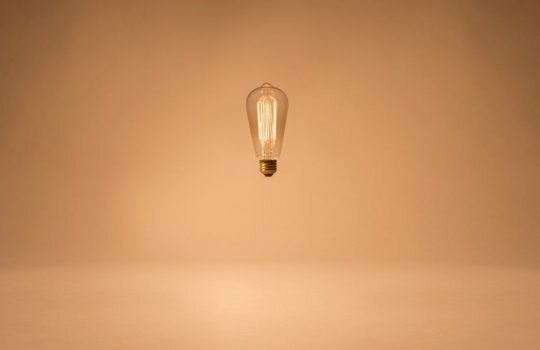 The only drawback that some people might see is that we are not really “innovating”—we’re still with the same old solution and, therefore, with the same old problems. But I sincerely believe that this is not an inconvenience, but a virtue. Using this type of solution allows us to introduce Guntenberg taking baby steps, replacing the components one by one: first the editor, then the boxes, etc. Integrating custom fields in the editor screen. To separate them from the actual content, the proposal adds a diviser between the two. but I’m not particularly attracted to them… there’s too much information (front and back end data) in the same component! 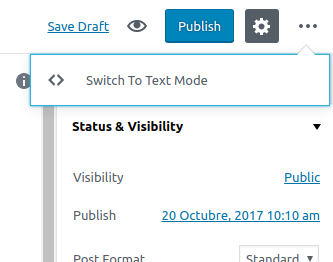 Editing a Custom Post Type using current WordPress editor. How would this look like in Gutenberg? As Kevin tells us, we are dealing with a personalized content that depends solely and exclusively on custom fields. This type of content does not even have the classic WordPress editor, so what’s the point of using Gutenberg? How could we adapt this to Gutenberg‘s current proposal? Registering support for Gutenberg in CPTs has not been confirmed, and honestly it feels more like avoiding the problem of meta boxes rather than solving it. Using Yoast’s solution, this scenario wouldn’t be a problem—we’d still have regular meta boxes and the (Gutenberg) editor would still be optional. Gutenberg has different view modes available. What if we had more? Visual Edit. Here we would have the visual editor along with the typical boxes: categories, tags, publication, and so on. Raw Edit. In this type of editing, we would have by default the text editor/HTML, along with, again, the boxes in the visual editor (yes, the same box could appear in multiple views). In custom post types such as Kevin’s, there would be no option to select the Visual Edit view and the Raw Edit would not include the text editor—it would only offer the box created with Advanced Custom Fields to edit the meta fields. Analytics. Here we could have boxes like the ones included in Nelio Content, with information from social networks, Google Analytics, Yoast’s quality analysis, and so on. Social. Boxes that deal with reader interactions would appear in this view: social messages from Nelio Content, WordPress comment boxes, etc. Meta. Here you’d find any other boxes that don’t fit anywhere else. What do you think? Which ones would you put? Gutenberg is a very ambitious project with a lot of potential. The idea of blocks is fantastic and, although it may have to be polished, I think it’s the future of WordPress. The only problem behind it is the fact that it aims to change more things than needed. Gutenberg has not yet been able to give a convincing answer so that plugins can be integrated. Many solutions are being considered in the project’s Github to guarantee backwards compatibility. Some people want a step-by-step integration, replacing the different components of the editing screen little by little. In this sense, I believe that Yoast’s proposal is the most realistic and effective, precisely because it’s the most conservative. I understand that the Gutenberg team wants to take WordPress to the next level and, therefore, they feel that it’s a good time to “start from scratch”. But I think we have to be careful, and that’s why I propose the idea of views as a formula to “change what we have while keeping everything unchanged”. 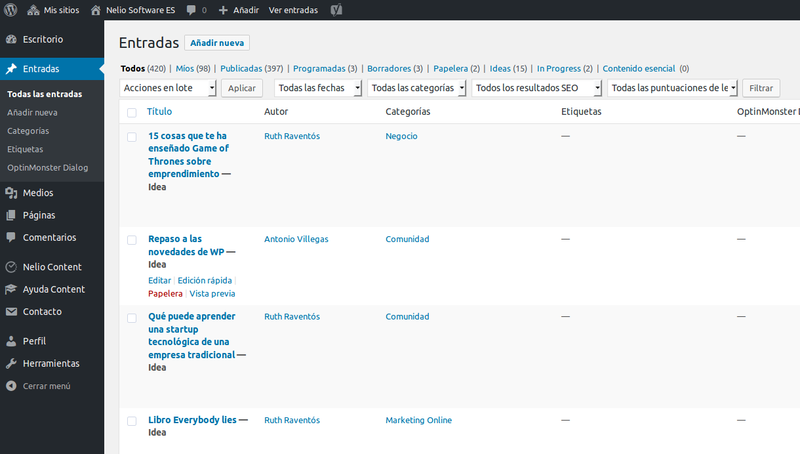 That is, I keep the WordPress boxes, but add order and cleanliness with the views. Featured Image by Mr Cup / Fabien Barral via Unsplash. A few months ago, I shared my opinion with you about “The pragmatic programmer: from journeyman to master”, a book that, as I said, includes good advice and best programming practices. If you haven’t read the book yet, go ahead and do it right away–it’s very enjoyable and instructive. Anyway, in my previous post I also told you I had a second book on the shelf waiting for me: Clean Code, remember? Well, I’m happy to say I’ve already read it and I like it even more than “The pragmatic programmer”! Let’s take a look at the book and what I think its best parts are, shall we? Software components play an extremely important role in any company. If your source code isn’t clean and tidy 😵, the amount of time and brutal resources you will have to invest in it every time you have to change, adapt or correct it will be brutal and might even wreck the company’s finances. That’s why this book teaches you how to write clean code and how to detect code that can be improved. The book is divided into three parts. First, it describes the principles, standards, and good practices that make a source code clean. In the second part, you have a lot of case studies (increasingly complex) where you start from poorly written code and polish it little by little until you reach an elegant and efficient solution. The last part is a list of heuristics and “smells” gathered while creating the case studies, which help you to detect when and how a fragment can be improved. In other words, it’s a knowledge base that describes how to write, read, and clean code. 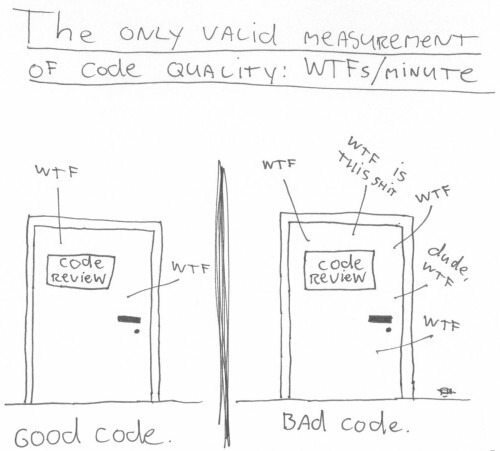 The only valid measurement of code quality: WTFs/minute. Source. Meaningful Names. How to make sure that our functions, variables, classes… in short, all the components of our code are intelligible and self-explanatory. Formatting. More tips to format code (spacing, indentation, and so on). If you’re reading this book to become a better WordPress developer, you can skip this chapter—WordPress already has some great style guides that address this. Objects and Data Structures. Several tips and principles on data abstraction to reduce (or even eliminate) coupling. Error Handling. A great chapter (one of my favorite, actually) with some useful tips on how to efficiently add error handling into our code. In essence, it covers a sad reality: error handling is accessory—we need it, but it’s probably unrelated to our software’s main functionality. As a result, adding it into our code makes the code look “dirty” and unnecessarily complex. Well, this chapter teaches how to do it cleanly. Boundaries. One of the toughest problems that programmers face (and this is especially true in WordPress) is our dependence on external libraries or services—if they change, things can stop working. This chapter identifies different scenarios in which we may have compatibility problems when relying on third-party solutions and shows you how to eliminate or minimize their impact. Unit Tests. There’s little I can say about this chapter—we’ve already discussed its content thoroughly in previous posts. Classes. During the first chapters, the book covers the building blocks of coding: functions, data structures, variables, and so on. Since clean code requires good organization, the book also devotes a couple of chapters to discuss this topic. In this chapter it focuses on object-oriented programming and its concept of classes, giving some basic advice on “size” and “responsibilities”. Systems. This chapter is more abstract than the previous one because it explains the concept of “a system”, the interactions between different components, the challenges it entails… Even if it’s more complicated than the rest, it’s worth it (especially if you work with larger software components like, you know, WordPress Core). Concurrency. A chapter devoted to the problems found in concurrent systems and their solutions. Successive Refinement. A case study in which the author presents a bad code and refines it step by step until it becomes clean code. JUnit Internals. Another practical example. In this particular case, the author dives into JUnit source code and presents some possible improvements. Refactorizing SerialDate. Finally, yet another case study. In this case, we start with a code that Martin defines as “good code”. But this doesn’t stop him from proposing several improvements. Smells and Heuristics. A fantastic compilation of heuristics and smells that’ll help you to identify the components in your code that should be improved. You shouldn’t just read this chapter—you should keep it close to you and use it as a reference. I think these smells and heuristics are priceless! This book is fantastic—it’s very well written and has a lot of tricks that I wish we all knew and applied when writing code… but I guess that reading the book and being willing to apply its lessons are the first step towards becoming a better programmer! 🥉 Bronze. “Comments Do Not Make Up for Bad Code”. As Martin says, “one of the more common motivations for writing comments is bad code“. Think about it: you’ve just written a new module and, well, it does work, but it’s basically a mess. So you look at it and say to yourself: “Ooh, I’d better comment that!” No! You’d better clean it! One should never need a comment to understand a piece of code—it should be self-explanatory. And that’s because a comment in your code creates more problems than it fixes. On the one hand, the comment may be out of date and not correspond to the code. But even if that’s not the case, changing the code means you’ll have to update the comment so that it’s “in sync” with the comment… and that’s extra work! On the other hand, comments can end up being a nuisance. Isn’t the following way better? It only takes a few seconds to explain most of your intent in code. In many cases, it’s all about creating a function whose name says the same thing as your comment does. And that’s how you make your code cleaner and better. Disclaimer. Sometimes, you’ll have to comment your code. For example, if you’re creating an API, it’s obvious that it has to be well-documented so that your users can effectively use it—after all, they may be oblivious of its internals. But, anyway, your function and parameter names should be as self-explanatory and clear as possible. 🥈 Silver. “Functions Should Have No Side Effects”. “Side effects are lies. Your function promises to do one thing, but it also does other hidden things“. I couldn’t agree more with this statement. When a function depends on and manipulates global variables, it’s very difficult to analyze, understand, and fix an erratic behavior. And that’s something we see a lot in WordPress Core—there’s plenty of global variables and objects. That’s why I think this tip is so important for all WordPress developers—we should avoid side effects whenever possible. Not only global variables can result in unexpected side effects—output parameters in a function can too! When this occurs, the value of one or more parameters changes after calling a function, which is clearly an unexpected behavior. In general, we all assume that the parameters of the functions are just input variables. The only way to know that a certain variable will change when used as the parameter of a function is through its documentation and, well, we’ve just seen that comments shouldn’t be necessary, right? Names are everything in software. After all, programming is no more than describing a system in a formal language, which means concepts and names play an extremely important role. Think about it for a sec—names are everywhere! Variables, arguments, functions, classes, files, directories… they’re all named! So, how much time do you invest in deciding how to name something? Do you use the first name that comes to your mind? Use Intention-Revealing Names. How many times have you found a variable named d followed by a comment explaining what it is? Sometimes programmers are just lazy… and we shouldn’t be! Use a different name, such as elapsedTimeInDays, daysSinceCreation, or fileAgeInDays. It doesn’t really matter the actual name, as long as it’s clear and meaningful. Avoid Disinformation. Names should give real information—they shouldn’t lie. For example, if we have a set of accounts, don’t name your variable accountList—such a name’s telling the programmer it’s implemented as a List, and it may not be. A better name would be accounts. Make Meaningful Distinctions. Sometimes, due to language constraints, we can’t name a thing using the word we want. For instance, if we want to name a variable, class, we can’t, because it’s a reserved keyword. To overcome this issue, we tend to misspell the word and name it klass or clazz instead. This is a bad idea. In these situations, we should use a synonym or similar. Another common example is the situation in which we have two variables with the same type, and we just name them equally and append a number at the end: string1 and string2. Wouldn’t it be better if we named them source and destination? Just look at how easy it is to guess what they’ll do, once the names are properly set! Method Names Should be Verbs or Verb Phrases. No surprise here: there’s plenty of examples of this rule in WordPress:have_posts, get_the_author, or is_single. Pick One Word per Concept. Sometimes, the same concept can be expressed using different synonyms: fetch, get, or retrieve; delete, remove, or trash. In these cases, you should try to use the same concept always. This way, your code will be easier to understand and you’ll reduce your mental workload. In short, Clean Code is an entertaining and educational book. I recommend that you buy it now and add it to your personal bookshelf. The tips and tricks it contains are very valuable. And believe me when I tell you that the leap in quality between the code you write before and after reading this book is enormous. Have you already read it? What did you think? Do you have any other recommendation for me? Featured Image by Joel Filipe via Unsplash.